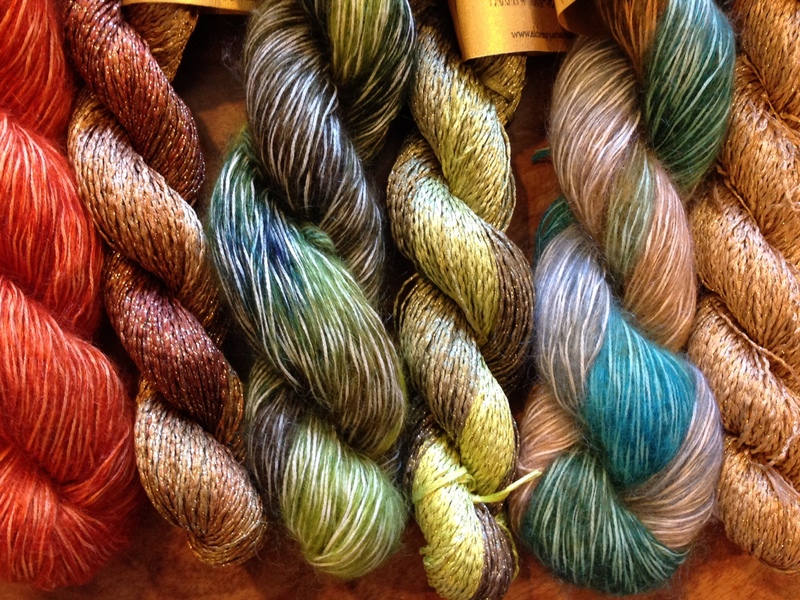 New yarns have been added to our sale stash! At only $1 per skein, we have washable fibers that are perfect for knitting for babies, gifts or charitable donations. We also have many cotton yarns, perfect for summer, at 50% off! Hurry in — these deals won’t last long! 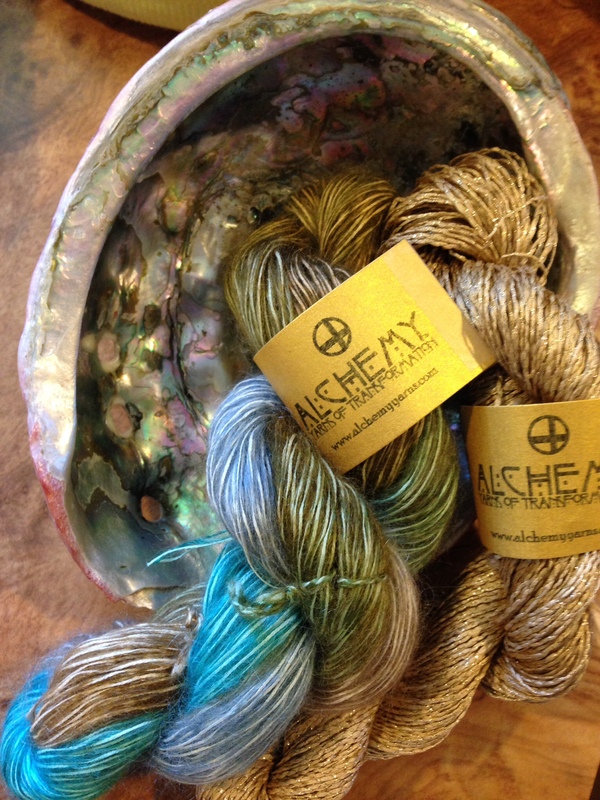 Introducing the Quaking Aspen Shawl! Knit with the oh-so-soft Acadia yarn from The Fibre Co., an incredibly light and silky yarn. It works up beautifully into the Quaking Aspen Shawl, the perfect summer evening accessory. We knit ours in grey with a green accent, but really the color choice combinations are endless! Come in, grab the yarn and pattern, and we’ll give you the yarn at 10% off, PLUS the pattern for free. 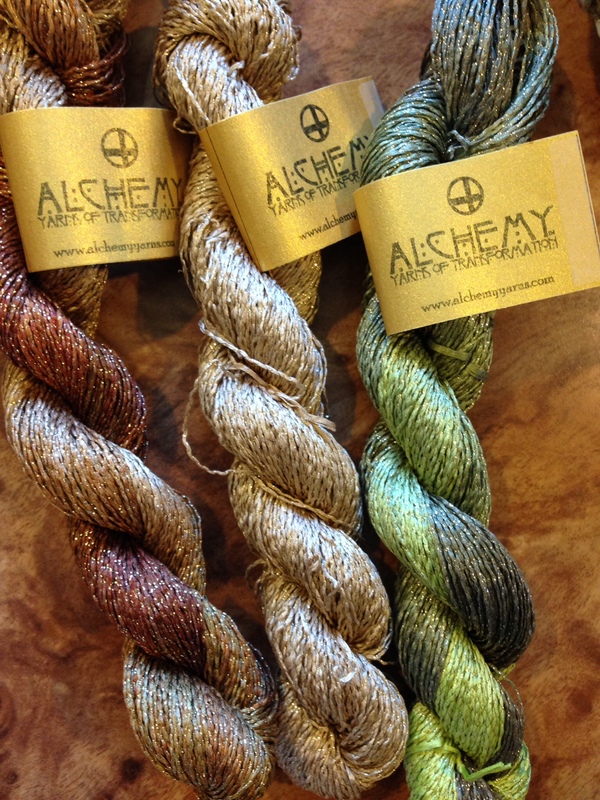 This two-skein pattern from Alchemy knits up beautifully! It uses one skein of Sparky (think Silk Straw with sparkle) and one of Tweedy. This is a perfect project for summer. The pattern is FREE with purchase of the yarn, and we have many colors available… mix and match however you like! You can also find more information about this pattern and yarn on Ravelry. Happy knitting!